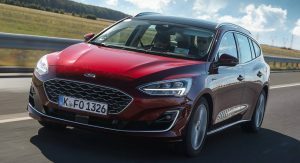 The fourth-generation Focus marks an important moment for Ford, as it’s the model that debuts the all-new C2 global modular platform the automaker will use on many new models in the coming years. 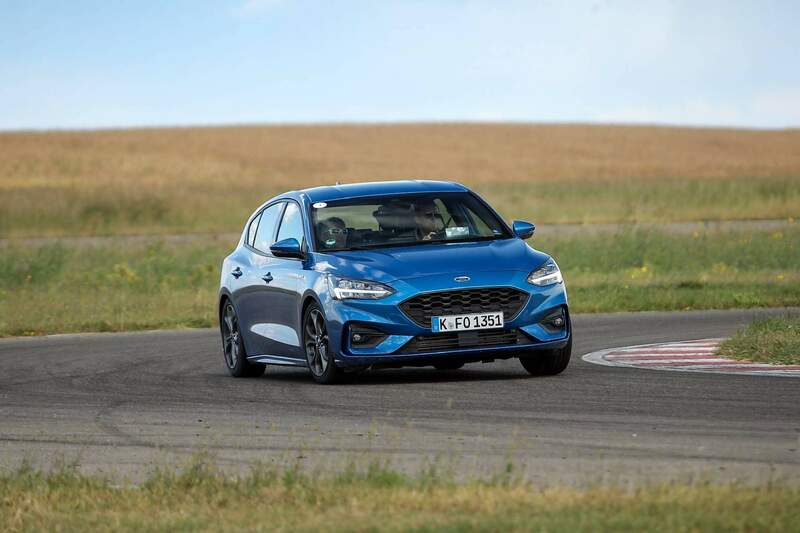 We drove the all-new Focus recently, as part of a Ford event in Romania, and got to try it both on the road and on the track. 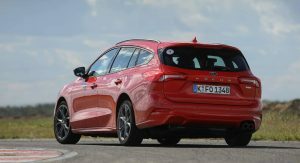 The test fleet included both the hatchback and the wagon, in Titanium, ST-Line and Vignale trim. 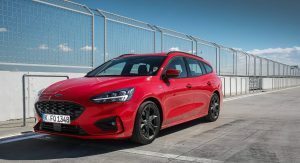 The jacked-up Focus Active will arrive in early 2019, with markets like Romania and Turkey also getting the Focus Sedan. We got a short static preview of the latter, though it wasn’t available to drive. 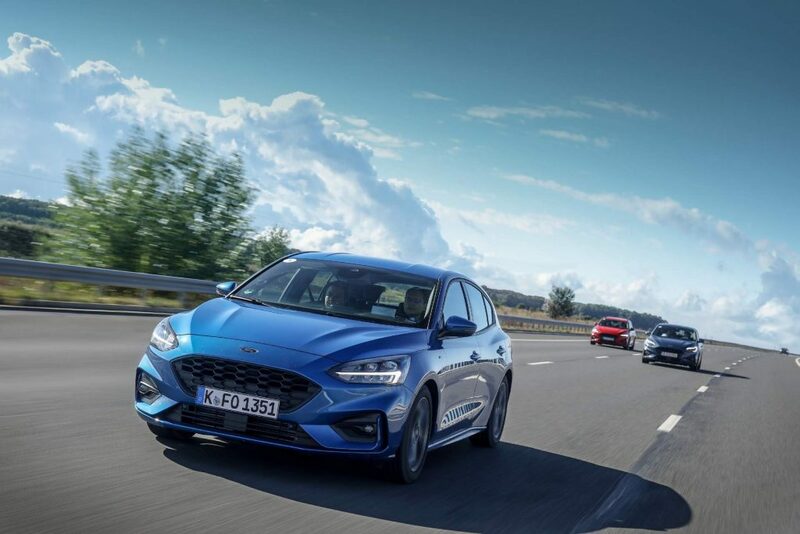 Seeing the Focus in the metal, it’s clear that Ford designers wanted it to appeal to as many potential customers as possible without alienating the usual clientele. 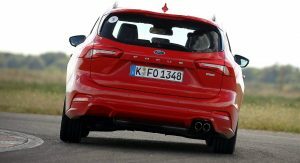 However, the result of this cautious approach is a car that looks a bit too generic. 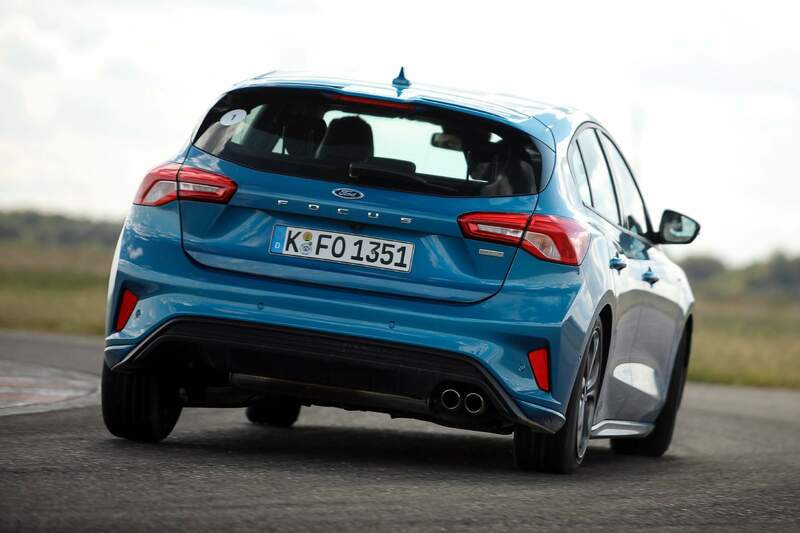 It’s easily recognizable as a Focus, but would it still be if the Blue Oval logo was removed? Tough call, but I guess one could say that about most volume models nowadays. 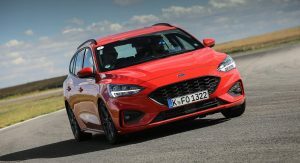 Don’t get me wrong, the Focus is not an ugly car. But it’s not daring either; it’s just a “safe” design. 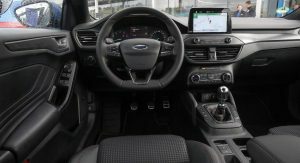 What I like about the new Focus is the fact that the trim levels look quite different from one another, making it easy for anyone to find the right model. 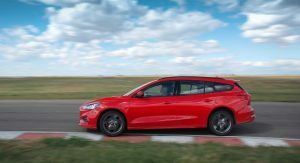 I found mine: the Focus Wagon ST-Line. 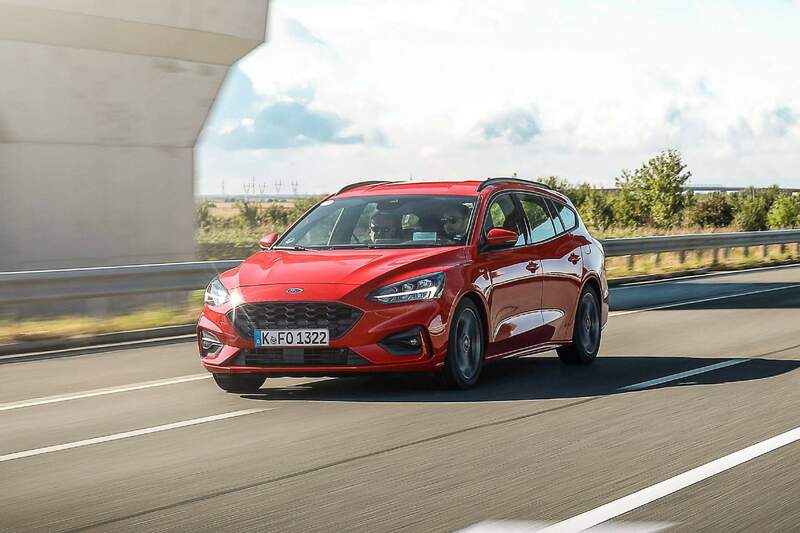 I believe the flowing lines of the new styling language suit the estate model the best and the sporty elements of the ST-Line grade make it the most attractive inside and out. 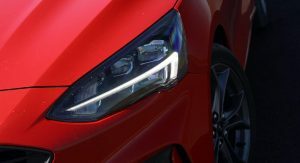 While the exterior could be described as a mild evolution compared to the previous generation, the changes are much more obvious inside. 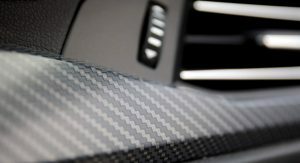 For starters, the materials used in the cabin are pleasant to see and touch. Soft plastics cover most areas passengers are likely to get in contact with. 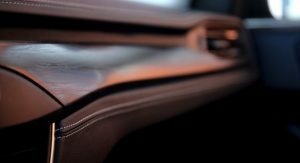 There’s one exception, though, namely the cheap-looking, hard plastic on the center console. 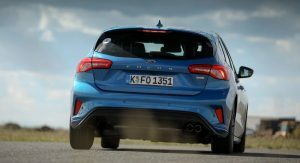 Despite, that the Focus is getting close to VW Golf levels of quality. 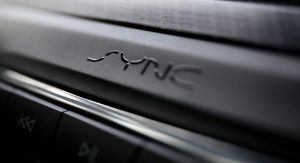 Thanks to the new SYNC 3 infotainment system, the dashboard looks (and is) more user-friendly. 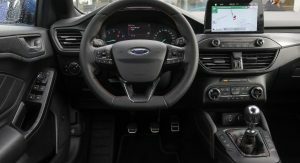 Ford was able to reduce the number of physical buttons on the center console, keeping only a fraction of them for the car’s main functions. 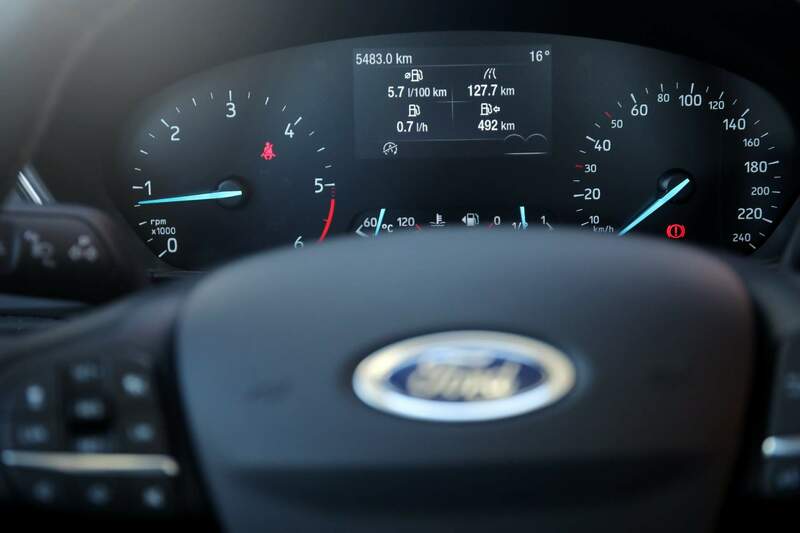 As a result, the dash looks less massive and busy than before, allowing the driver to focus better on what’s most important: driving. 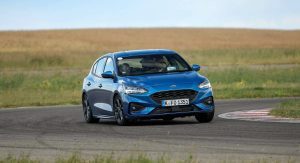 The cars I got to drive were the Focus ST-Line hatchback and the Focus Wagon Vignale, with two different engines: the 120PS (118hp) 1.5-liter EcoBlue turbodiesel (both with a six-speed manual and eight-speed auto) and the 182PS (180hp) 1.5-liter EcoBoost three-cylinder gasoline unit (only on the track). 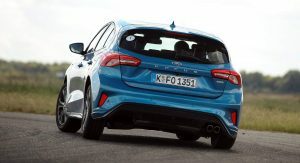 I’ll begin with the diesel unit because I drove the Focus with the 1.5 EcoBlue engine the longest. 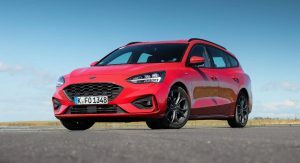 The peak torque of 300 Nm (221 lb-ft) available from 1,750 rpm enables decent acceleration even on the heavier Focus Wagon, which adds 50 kg (110 lbs) to the hatch’s curb weight. On paper, the numbers aren’t spectacular. 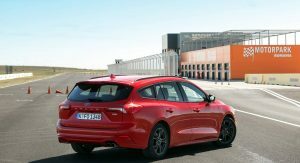 The new Focus Wagon with the manual transmission will do 0-100 km/h (0-62 mph) in 10.3 seconds and reach a top speed of 194 km/h (121 mph). In real life, that’s more than enough to overtake, merge on the highway and maintain a more than decent pace. 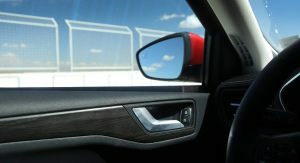 At cruising speeds, you won’t hear much noise inside other than whistling from the side mirrors. 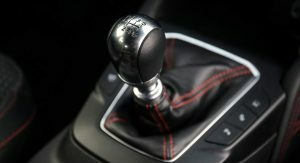 As for the engine, it produces a rather pleasant sound even at idle and you’ll barely hear it while on the move. 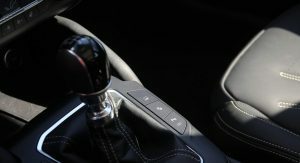 The manual transmission is precise and easy to use, but it can’t rival the new eight-speed automatic when it comes to comfort. 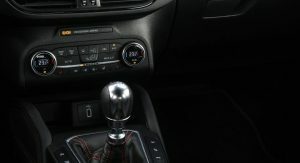 The new torque converter gearbox is smooth and shifts gears fairly quickly. 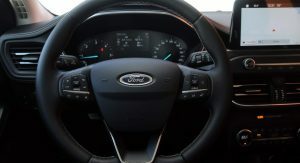 It definitely suits the diesel engine better, though it loses a few points when it comes to fuel economy. 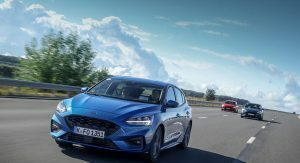 According to Ford, the average fuel consumption (NEDC) for the Focus Wagon 1.5 EcoBlue with the automatic transmission is 4.5 l/100 km (62.7 mpg UK), compared to 3.7 l/100 km (76.3 mpg UK) with the manual. Obviously, you will never get near those figures in real life. 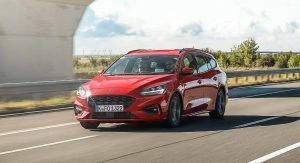 The lowest fuel consumption displayed by the trip computer of ‘my’ Focus Wagon with manual transmission was 5.7 l/100 km (49.5 mpg UK) on an almost entirely extra-urban cycle. 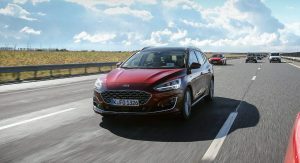 In similar conditions, the Focus Wagon equipped with the automatic transmission would have probably averaged significantly more than 6.0 l/100 km (39.2 mpg UK). 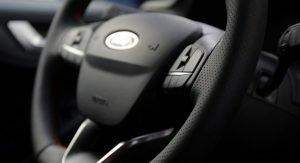 That’s a bit high compared to competitor models that feature dual-clutch gearboxes. 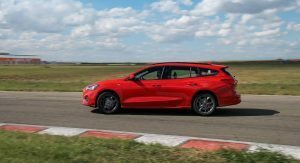 The new Focus offers an excellent compromise between ride quality and handling, with the 53mm (2.08in) longer wheelbase making it feel more composed. 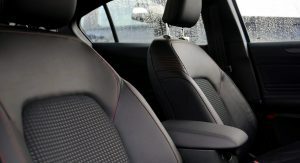 The suspension absorbs bumps smoothly and quietly, yet it maintains the car stable in corners even when the driver mistakes the Focus for a sports car. 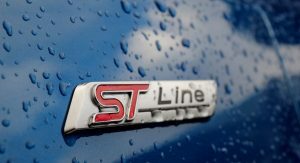 ST-Line models sit 10-mm (0.39-in) closer to the ground and you can feel it in corners, as the car is a bit more precise and more fun to drive. 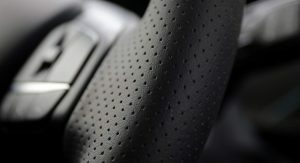 The trade-off is a less compliant ride on bumpy roads. It’s not a deal-breaker, but you can feel the difference compared to the standard suspension. 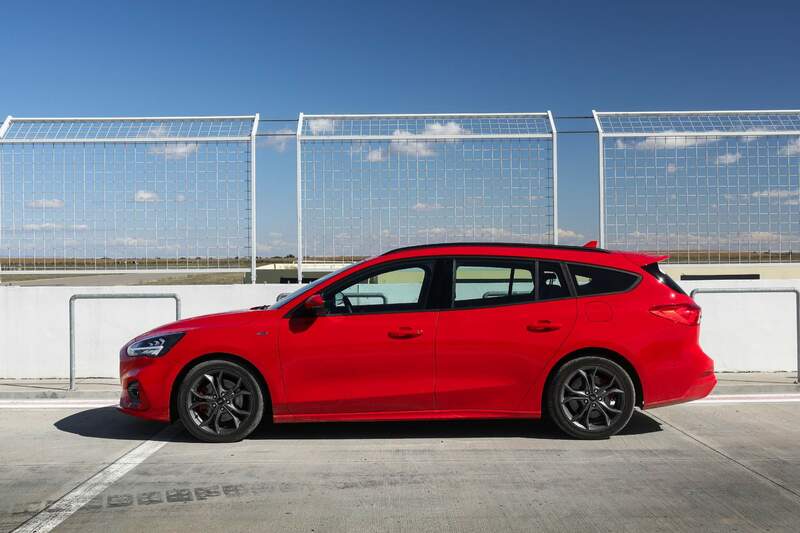 On the track, the Focus ST-Line proves it’s still the compact hatch to beat when it comes to handling. 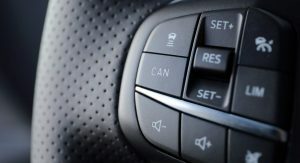 Despite the noticeable body roll, the car reacts intuitively and precisely to the driver’s inputs, and interventions from the electronic nannies are subtle enough not to ruin the fun. 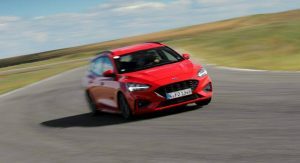 Three laps on the circuit with the Focus ST-Line hatchback allowed me to sample the new three-cylinder 1.5-liter EcoBoost engine. 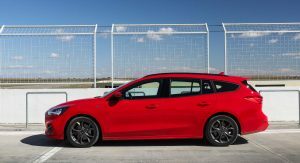 With 182 PS (180 hp), it’s the most powerful engine available on the new Focus (until the Focus ST arrives) and it shows it. 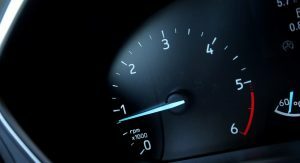 It’s quick-revving (the red line is at 6,000 rpm) and its accelerations are accompanied by a gruff sound typical of three-pot engines. It may have only three cylinders, but you wouldn’t know that by the way it pulls. 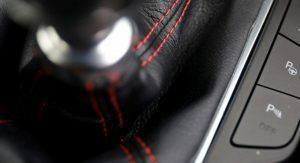 The peak torque of 240 Nm (177 lb-ft) is present from 1,600 rpm, enabling a 0-100 km/h (0-62 mph) sprint of 8.3 seconds and a top speed of 222 km/h (138 mph). 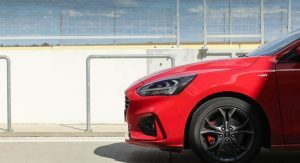 That’s not hot hatch performance, but outside the racetrack, it’s more than enough. 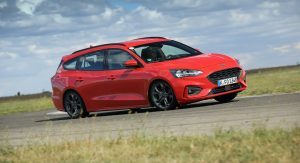 If you ask me, I’d choose this engine over any of the diesels available on the new Focus. 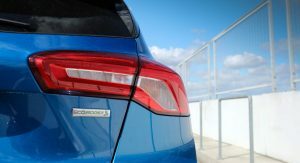 Besides the 120PS (118hp) unit, the lineup includes a 95PS (94hp) 1.5 EcoBlue and a 150PS (148hp) 2.0 EcoBlue diesel. As for the gasoline range, Ford also offers the 1.0-liter EcoBoost in three states of tune (85PS/84 hp, 100 PS/99 hp, and 125 PS/123 hp) and the 1.5-liter EcoBoost with 150 PS (148 hp). 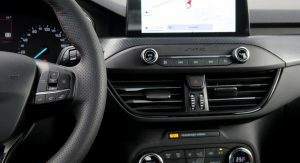 It’s a semi-autonomous mode that essentially turns the driver into a passenger that needs to touch the wheel once in a while to keep the system from disabling itself. 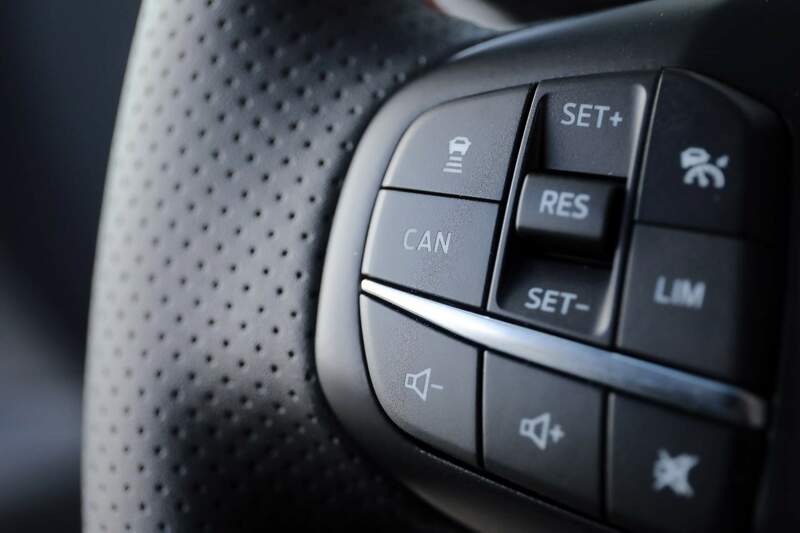 The car will do almost everything else: maintain the desired speed and distance to the car in front, stay in the lane, and brake if necessary. 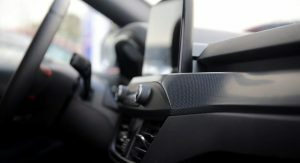 I also tested the Active Park Assist 2 with Park-Out Assist, which not only parallel parks the car for you but also gets you out of a tight parking spot. 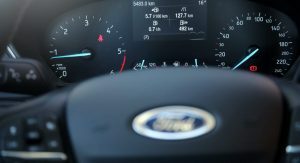 Finally, Ford demonstrated how Pre-Collision Assist with Pedestrian and Cyclist Detection works. You can see how that went in the video below. 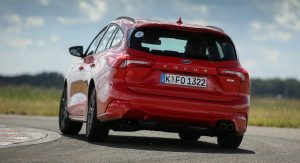 Long story short, the new Focus is an impressive piece of kit. 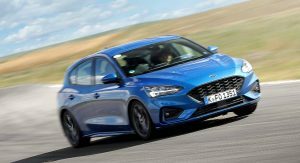 It’s not often you see a car that’s competent in all areas yet that’s exactly what the Focus feels like. 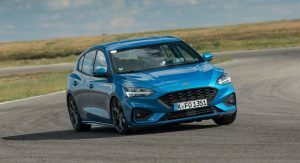 That is definitely a big advantage in the highly-competitive C-segment with buyers that have the most diverse tastes and requirements from a car. 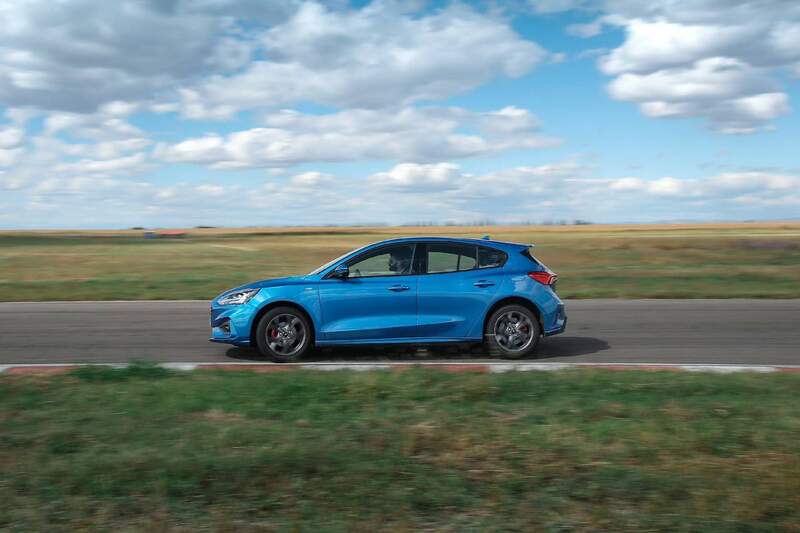 It’s definitely the best Focus so far. A shame Ford’s home market won’t get it. Oh ya Ford. I remember them. Funny, but we don’t remember you! I just hate how it looks. 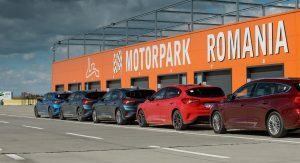 I Keep seeing KIA/Hyundai here no matter how I try not to. Ford is taking inspiration from a lot of cars. 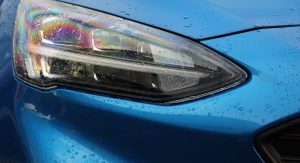 I loved the previous Fiesta, than they sold Aston Martin, put an Aston grille on the Fiesta, followed the other cars… Since the end of Ford PAG they just stole their old brands design identity and then went ot other brands. 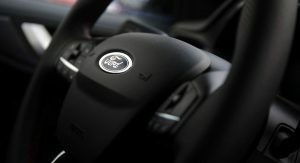 It’s sad, When they had Mada, Volvo, Jaguar, Land Rover, Aston Martin, I respected Ford for keeping as much as possible each brand’s identity unique. Sure a geek could see the common pieces here and there, but unlike fo GM or VW, it wasn’t obvious that cars belonged to the same group. 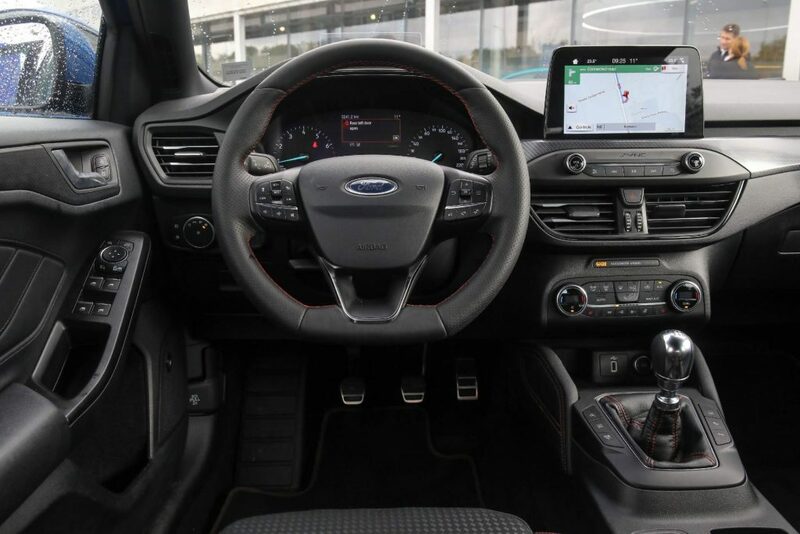 I can understand cutting the Fusion and the Taurus from the US lineup (even though I have a soft spot for the SHO). I can even see getting rid of the C-Max and the Fiesta. But why would you cut the Focus from the US lineup? 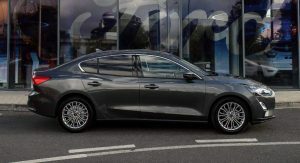 Especially considering the new 2019 model is a such an improvement over the previous model. 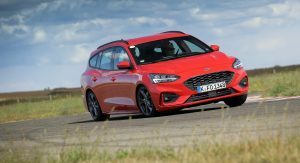 I would’ve at least given the 2019 model a couple years to see if sales would have turned around before axing the Focus with the rest of the car lineup. 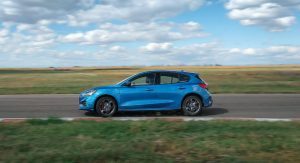 It’s just funny to me considering you see Toyota with their new Corolla hatchback and Mazda about to announce their new 3 for the North American market and people are generally excited about those launches. I just wish they would’ve given it a shot. Me too. 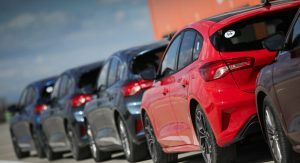 Mazda has no choice because no one buys their stuff, including their SUV’s. 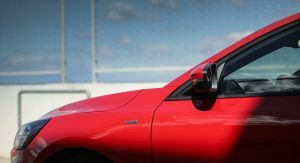 Toyota has the best mindshare of any mass market carmaker, so no matter how bad a segment is doing, people will still buy the Toyota no matter what. 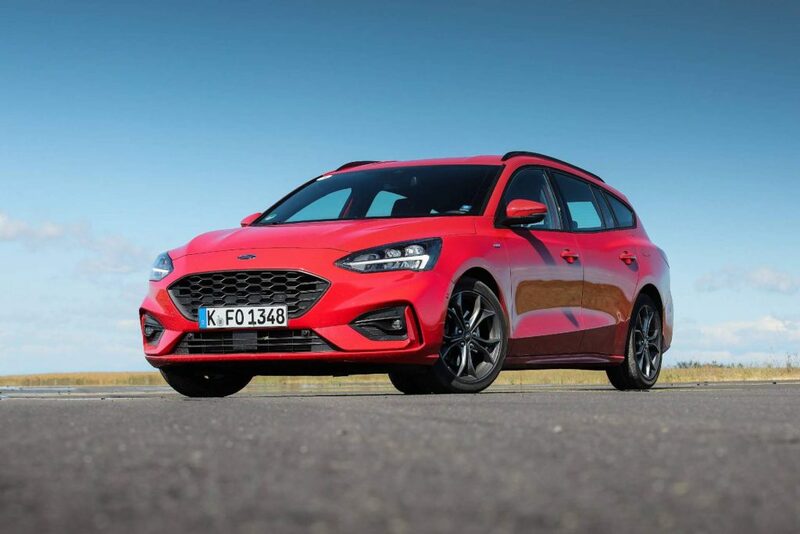 Even though Ford would still have taken a loss selling the Focus here, I still wish they would have given it a try because I think this looks better than the Civic and Corolla. 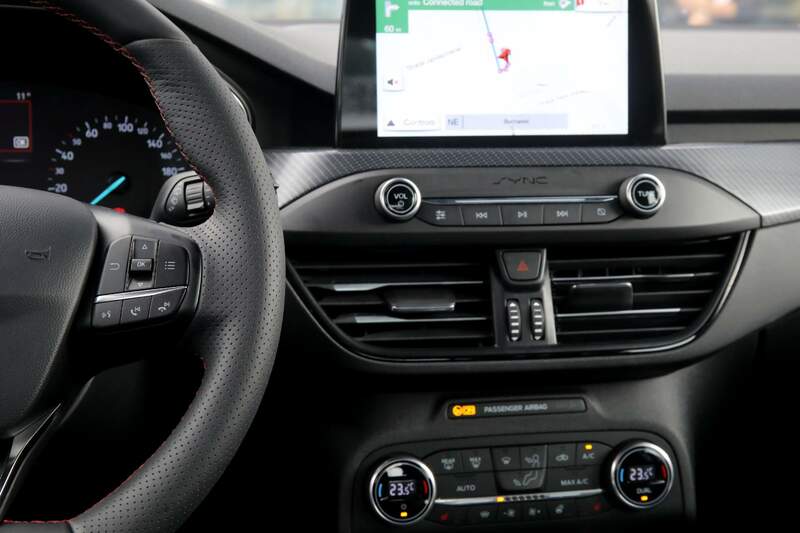 LOOKS GOOD ON THE OUTSIDE BUT THE INTERIOR IS DRAB. WAY TOO MUCH BLACK. Yeah I was mildly shocked by how bad inside looked. Not just color scheme, but design too. Really? I kind of thought it looked pretty good. Not extraordinary but nice. 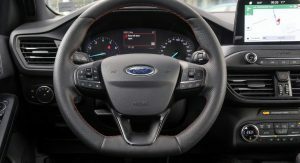 I think Ford interior designers have tendency to make their center stack too anthropomorphic, and tool disjointed. Sometimes I see humanoid faces. This one is a tad better, but it still looks like 3 separate pieces from part bin glued together. 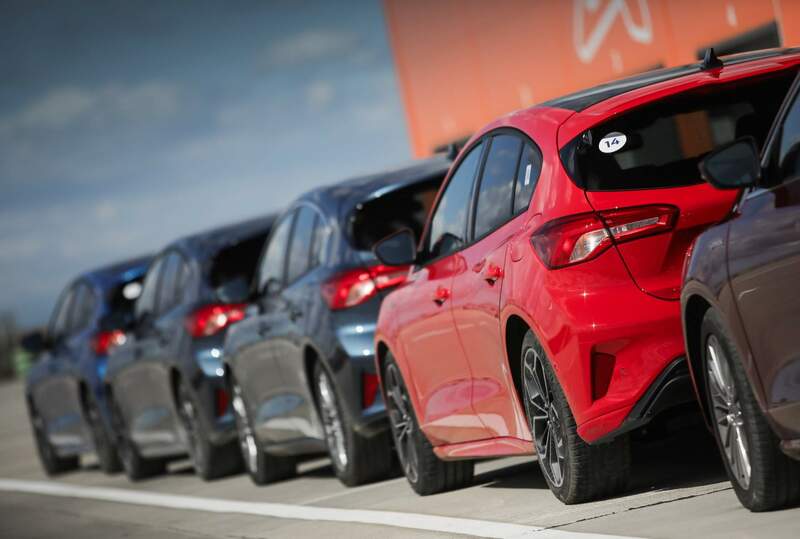 Compared to its competitors like Mazda 3, it’s lacks elegance and cohesiveness… imho… Switches look cheap too. 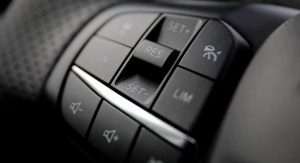 My Mazda 3 actually has cold-to-touch real metal knobs in places. *cough* I’m biased *cough*. I like it, especially the wagon version. 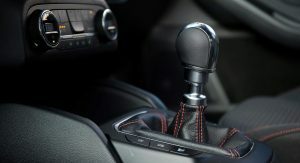 The interior does need some color variation though. 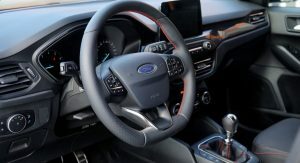 Too bad Ford is out of Focus here in the US. 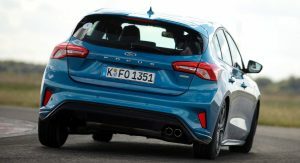 I get that Ford’s doing the all-SUV thing but it’s a pity that this won’t see North American streets. 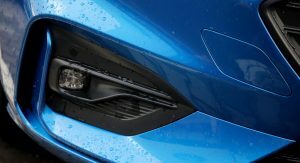 Losing the aggressive front end for an older Mazda 3 look and feel? No thanks. Getting even uglier than usual. 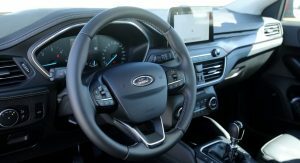 Typically Ford in its generalistic lines. Hopefully Ford will be ready to bring this to the US when gas prices go back to $5 per gallon.